Like Treyarch’s Call of Duty: Black Ops, Modern Warfare 3 comes with a built in Theatre Mode which allows you to view recent games from pretty much any perspective you desire. Players can choose to replay footage as they saw it originally; through the eyes of team mates or opposing players; and there is also a ‘free roam’ camera. Want to know the best capture card for your needs? Check out this comparison on Gaming-Headsets.co.uk! If you’re looking to record (MW3) gameplay footage, you will need to buy a capture card. At the time of posting I don’t own anything capable of recording HD gameplay footage, however I hope to change that in the near future due to work requirements (capturing and sharing WordPress tutorials). At the moment, it looks likely I will pick up one of these Hauppauge HD PVRs from eBay [UPDATE: I have just purchased the AVerMedia Game Capture HD]. 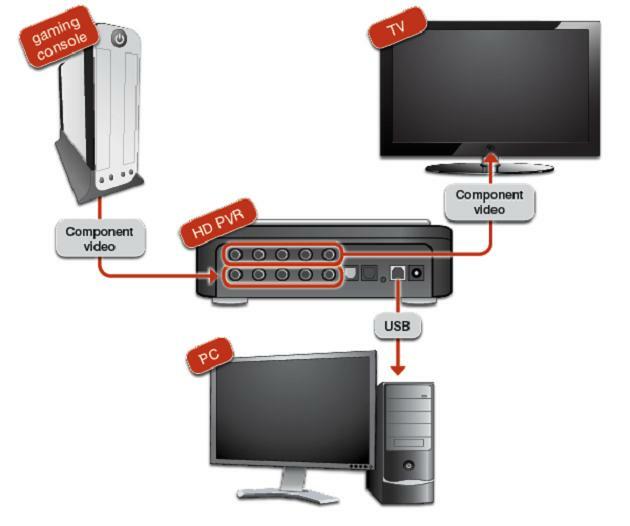 As you can see from the image below, installation is no more complicated than running a set of component cables from your PS3/XBOX to the HD PVR and then another set from the HD PVR to your TV. A computer then connects to the HD PVR to store the footage captured.